Eddie McGuinness Gay Matchmaker at The Outing to Ring Master of Love this year will be for Blind Date Paul Ryder hostess with the most plus Candy Warhol lots more… Fun and maybe Love. ‘ I’m only just recovering from the last one! LGBT+ weekend like no other..said Panti Bliss ‘Queen of Ireland’ …. 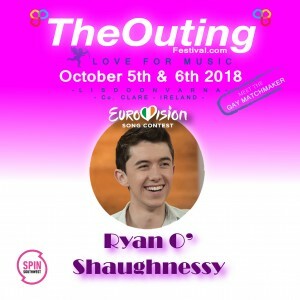 It’s been a wild ride for Ryan O’Shaughnessy: beating the odds to qualify for the 2018 Eurovision Song Contest final, seeing his song Together become a global talking point around issues of diversity and inclusion, rising to third place in bookmakers’ odds, and then ending up 16th in the competition overall. Paul Ryder is currently the host of The Ringmasters Drag Race 2018 has been a fixture on the entertainment scene for close to ten years. Ryder has been a performer with Dublin based drag troupe ‘DRAGGED UP’ for 5 years now which has seen him tour the UK and Ireland with his unique style of live performance. He is absolutely thrilled to be the guest host for ‘The Outing festival’ 2018 again and will just be off a whirlwind summer after hosting LGBT Pride events in Galway, Dublin, and Cork. Candy Warhol live in full colour at The Outing…. ”Hailed as the ‘Big New Star Of Drag’,by The Irish Examiner, Candy Warhol is Ireland’s princess and descendant to international drag royalty Danny La Rue. 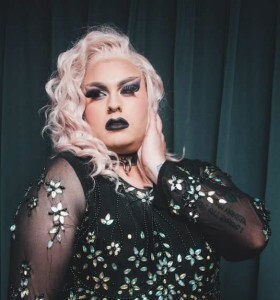 Crashing onto the scene in 2011 as a finalist in the Alternative Miss Ireland, Candy has had residency at The George and PantiBar with Panti Bliss. 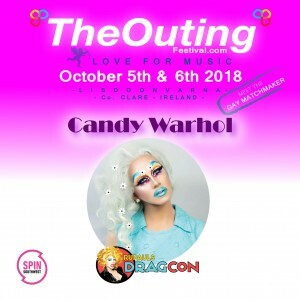 For the last three years Candy has become an annual host and performer at large festivals such as Dublin LGBT+ Pride, Electric Picnic,Longitude and Knockan Stockan as well as hosting and performing around London and Paris with Sink The Pink,Jodie Harsh and Sophie Ellis Bextor to name a few. Kiki St. Clair, the Queen of the West has been on the Galway scene for almost 7 years. She has performed in venues up and down the country and runs Galway’s longest running LGBT Club Night, Club GASS. She knows how to throw a party, turn a lip-sync and always leaves you wanting more. Since then the girls have gone from strength to strength gigging all over Ireland and uploading their weekly couch covers. The girls from Sparkle are Irelands best duo and because of this they were selected to perform at Electric Picnic 2017 in the Jerry Fish tent and are due to play at Electric Picnic again in 2018. They have been selected as a top five finalists out of over 600 entries in the Le Crunch Song competition in association with Joe.ie and will battle it out in Whelans to claim the title. They are currently working on their upcoming Ep. Having spent years singing in similar but separate bands, these girls have barely celebrated their first anniversary but have been steadily climbing at a lightning-fast pace. The Apple Blossoms have already performed alongside Celtic Woman, as well as featuring at Dublin Airport’s 75th Anniversary, on RTE’s “The Shelbourne,” for the opening of some of Dublin’s trendiest boutiques, featuring on RTE, ITV, and TV3’s Xpose, and impressing the likes of Brendan Courtney, Pippa O’Connor, Glenda Gilson, and Bairbre Power at Ladies’ Day at the Dublin Horse Show. This versatile trio can now also add “award winning” to the list after snatching both the Best Performance and Overall Winner titles at Ireland’s Inaugural A Cappella Competition, where they faced stiff competition from established a cappella groups from all over Ireland. Additionally, they have entertained plenty of guests at weddings, parties, and corporate events of all shapes and sizes! 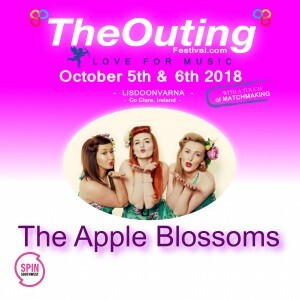 The Apple Blossoms are Ireland’s answer to The Puppini Sisters, The Andrews Sisters, and Postmodern Jukebox, but what sets these girls apart from the others is their distinct bubbly, fun, and energetic personality, sure to entertain any crowd! So whether you want to swivel your hips to Elvis, hep step to Andrews Sisters’ harmonies, relax with Etta James, or bop to Bruno Mars, The Apple Blossoms are sure to deliver! 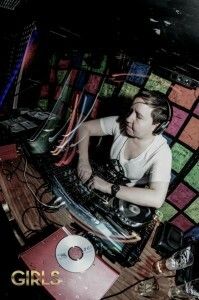 “DJ Ruth found her passion for DJing in a little local pub in her home town of Lucan, nearly 20 years ago. Not long after she found her true home, musically and socially, on the gay scene. She quickly became a well known and very well liked part of the scene she loved. Over the years she has held long residencies in Dragon, Prhomo, Spice, Dragged Up & Glitz to name but a few. 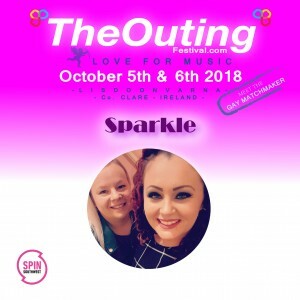 She also proudly played at Milk, Irelands first gay music festival, to a roaring success and The Outing Festival has taken over this now in it’s 6th year as Irelands only LGBT+ Music Festival. Traveling around Ireland is not unusual to Ruth, where she has played regular gigs in Limerick, Cork and Galway. Letycha Le’Synn was created 6 years ago especially for Cork Pride. Since then she has performed around the country and has a residency in Corks very own Chambers bar. Last year she was crowned the winner of Paul Ryders Ringmasters Drag Race, which is a nationwide drag contest. My inspirations come from various places. With a love for fashion and burlesque I draw inspiration for my acts. In terms of other drag performers I have many people that I look to for inspiration such as the legendary Devine, to Rupaul and our own fabulous Irish queens. 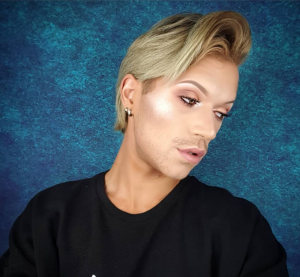 I’m a Make-up artist and male makeup wearer as well as a huge skin nerd, Plus followed by a Drag Performer for mainly the West coast of Ireland. I’m into fashion and trends, don’t feel like you have to go with any trend be your own kind of unique and be yourself. At The Outing Festival I will be doing makeup classes for both male and female and those who are gender neutral, we are are all who we are let’s shine. Eddie Kay is a stalwart on the Irish dance music scene and has been playing records and keeping people dancing since 1996. 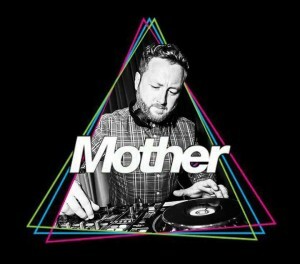 Over his 20 year career as a DJ he has played alongside a plethora of international talent, including the likes of Hercules & Love Affair, Solomon, Roisin Murphy, Crazy P, Frankie Knuckles, The 2 Bears, Dimitry from Paris, Bicep, Horse Meat Disco and Scissor Sisters to name but a few! Eddie has played extensively throughout Ireland and abroad, with long running residencies in some well known clubs and festival stages including – Casa Bacardi @ Electric Picnic – Metropolis, RDS Ireland – Crack Bellmer, Berlin – The Dean, Dublin – Absolute Stage, My House and Reckless in Love stage @ Body & Soul Festival – Indiependance music and arts festival – Paloma Bar, Berlin – Interlude Music & Arts Festival, Dublin – Sea Sessions Music & Surf festival – Liquor Rooms, Dublin – Mega Otso Weekender, Helsinki – The Kitchen, Dublin – Bar M & Manumission, Ibiza – Club Lekker, Estonia – The Eagle in London, Manchester and Amsterdam – Electric Garden and Theater, Galway – Pygmalion, Dublin – Bar Savanah, Ibiza – Club Hercules, Helsinki and is also a regular guest at two of Irelands most acclaimed gay nights, Sweatbox and MOTHER, both held in Ireland’s capital city of Dublin. One of Eddie’s longest running residencies was held for over 3 years at legendary music venue Sir Henry’s. Eddie has also had featured mixes on national stations 2FM and Today FM and regular compiles charts for numerous online music stations such as Ministry of Sound Radio. Carlow man Gar Cox has charmed audiences all over Ireland and Europe with his songs. Sometimes funny, sometimes sad, always warm and inclusive, Gar’s songs come from the folkie side of life, with a little disco and a twisted tail-feather shaken in. Last spring, he released his E.P. “Support Your Local Bookshop”. 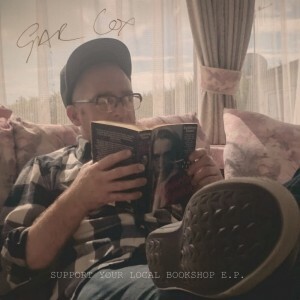 Critics loved it (“Beguiling […] Top-notch tunes” – Hot Press; “Brilliantly mixes humour, pathos and reflections of queer life” – GCN), and Gar took it on the road for a very special tour of Ireland’s independent bookshops, bringing the songs to the people and places they were inspired by. Gar made his Lisdoonvarna debut at The Outing last year, where the special atmosphere and high spirits made for one of his all-time favourite shows. He’s delighted to be coming back in 2015 to share new tunes and new stories, and he promises singalongs, sparkly good humour and maybe even a few misty eyed moments for everybody. Fourth-generation Matchmaker, Willie Daly, has the gift that made Lisdoonvarna famous for over 150 years as the place to find love. 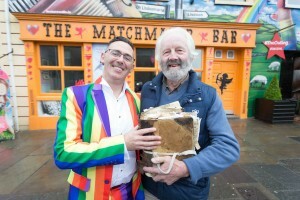 Willie’s was ready last year to add some LGBT couples to his famously enormous book of matched names and he did it with Panti by his side. Willie will be on-hand all weekend for you to meet and chat with. As renowned for its magic touch restarting the “honeymoon period” for existing couples, as it is for assuring the bright future of new ones, Willie’s book is waiting for your name! Willie Daly will be matchmaking in The Outing Lisdoonvarna on Friday, Saturday and Sunday so why not sit down and have a chat with Willie and see can he help you find love. The band’s name is An Ríl Díl which translates as The Reel Deal and is pronounced Unreal Deal. 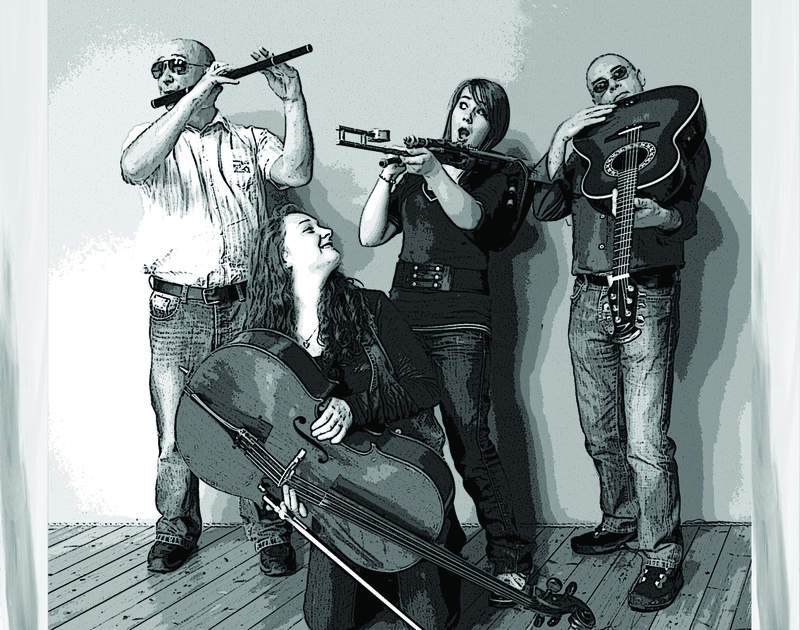 The band members currently are Peadar Reilly (Flute and various whistles), Tara Howley (Concertina, Uillean Pipes, Fiddle, Harmonica, Vocals etc), Paul Stafford (Guitar and Vocals). The missing member is Tara’s sister Sharon who is busy with her own musical career these days.